In White Sails put our clients’ needs above all! 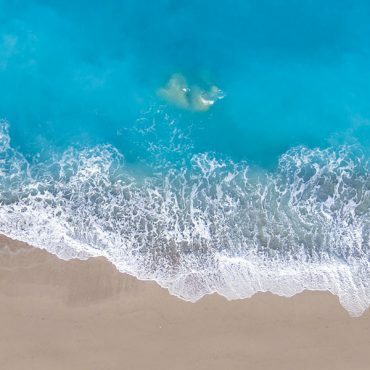 That’s why our team of experts have created this very analytic travel guide of the small gem of Ionian Islands, Paxi island. Our moto is to explore the place you visit like a local. Right across Paxi there is Antipaxi island! A literally heaven on earth! The largest of these two is Paxi island and its main town is Gaios. Located in the southern coast of Corfu these 2 small gems of beauty will travel you to an exotic unique place! The beauty on these islands is something extraordinary. There isn’t much to do, as they are so small, but you don’t need to do anything else besides of lying on your catamaran’s deck and enjoying the Greek sun and sea. Paxos is covered in olive trees and tall cliffs, beautiful pebbled beaches and small beautiful villages! 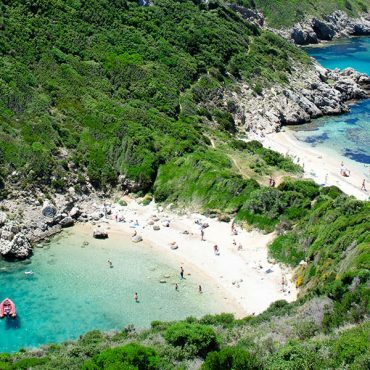 Antipaxos has also pebbled beaches and you can best discover it while being onboard! Ypapanti Church in Rantatika is a beautiful church which you should visit. If you climb on the bell tower you will have the chance to have a magnificent view. Pythias Gallery in Gaios is one of the coziest places of Paxos . You can also buy small paintings and jewelry in affordable prices . 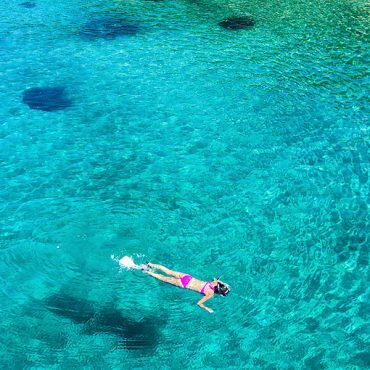 Snorkeling and swimming in Antipaxos . Erimitis Beach is a fantastic beach and perfect for your moning dives! Vrika beach in Antipaxos, a small bay with white sand and turquoise waters. A scenery taken from the Caribbean! Kipiadi beach in Koutsi Paxous is a beautiful white pebbled beach perfect for peace and quiet. 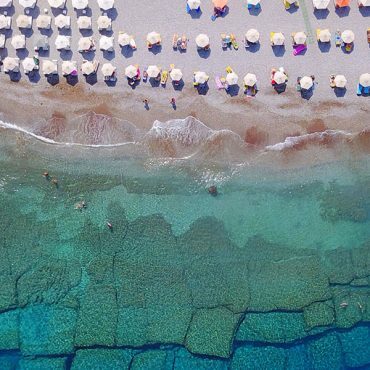 Rodovani beach in Antipaxous is a secret beautiful beach which you should visit once in your lifetime! Port Gaios is the principal port of the island. You can moor right in the middle of the busy touristy scenery or choose a quieter berth further down the long quay. If you want a berth in July and August be here early in the afternoon. Excellent shelter in all weathers. Care should be taken when laying your anchor as passing ferries in the narrow channel may foul your chain. The port of Port Lakka lies at the Northeastern tip of the island of Paxos in the Ionian Sea. It consists of a large natural inlet. It is protected from all winds but not the Northeast winds which are rare. While you approching from the North, be ware of the rocky islet Marmaro and the reef at the northwest of the island, that should be given a wide berth. 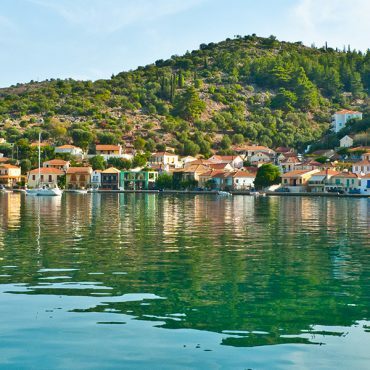 The port of Loggos is at the middle of Lakka and Gaios and it is a smaller harbour. In the past Loggos port was serving the needs of soap factory, but nowadays it is totally for fishing and tourism available. Be aware of the dangerous rock Ifalos Paxoi ESE of Longos. Mongonisi is a natural anchorage for your sailing boat which is located at the south end of Paxos island. You can either moor your sailing yacht at the quays in the inlet or anchor off, where there is available space for 10-15 yachts. Depths are 1.5 metres or less at the quay, but 2.5 metres just off it. Unless visiting the taverna, most yachts tend to anchor off in depths of 5.0 – 8.0 metres. 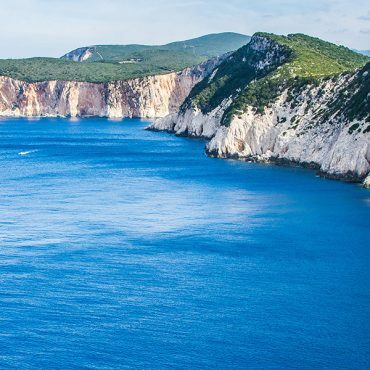 There are two bays to anchorage on the east side of Anti-Paxos island. There is 2 or three taverns and cafes available to serve your needs. At the peak seasons tripper boats leave crowds of people to swim. Tripper boats flock here from mid-morning onwards from Paxos. Monodendri is very popular for local and guests. It is not sandy but it has crystal clear waters, like any other Paxi beach. There are two tavernas offering a wide choice of foods. Partly organised, offering some sun beds. It the summertime it gets very crowded, because it is real close to Loggos. 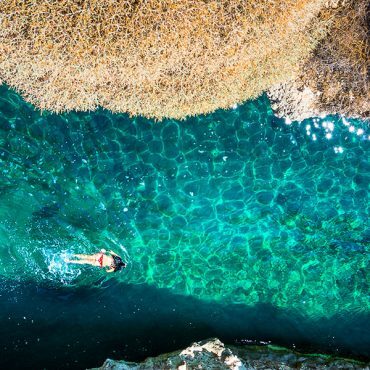 It is one of the most picturesque beaches of Paxi, family friendly and safe to swim. There are many fish taverns serving fish food mainly. Voutoumi beach is a unique sandy beach on the eastern side of Antipaxi, reminding a hollywood scenery. A must-visit!!! Genesis restaurant in Gaios , wonderful place with great dishes !!!! Mambo restaurant in Gaios is one of the best places to eat . Reasonable prices , friendly personnel and delicious meals. Stasinos Garden Restaurant in Lakka with the fantastic garden is a wonderful place where you can enjoy your fantastic cooked meal ! Akis Fish Bar & Restaurant in Paxous is a bit more expensive but so worth it! Carnayo Meat & Eat in Gaios central square offers fantastic food, very clean and friendly personnel ! Pounentes in Plaka is a family run business , nice homemade cooked meals. Taxidi Bar in Loggos to enjoy your cocktail in a fantastic scenery! Libretto Coffee & Spirits in Gaios harbor just few meters from the sea , a family run business with countless choices from drinks , coffees , sweets and snacks. Fanis in Lakka located directly on the sea is a tavern that you must visit.